Allergies can be caused by one or possibly a combination of many different things including an array of triggers such as food, medicine, environmental factors and inhalants. Allergies are among the most common chronic conditions worldwide. Mold allergy symptoms vary from one person to another and range from mild to severe. Mold spores and very fine hyphal fragments trigger allergic reactions in about 20% of the adult population. The reactions are due to protein and polysaccharide components of molds. The smaller the spores and the finer the hyphal fragments the easier it is for them to penetrate deep into the respiratory tract. In humans mold allergy symptoms are of two types, the immediate hay-fever or asthma Type I and the delayed farmer’s lung Type III. Type I allergy occurs only in allergic individuals and may be caused by many types of molds including plant pathogens. Alternaria and Cladosporium spp., are two of the common molds causing seasonal mold allergies of this type. Mold allergy symptoms can include sneezing, nasal congestion and itchy or watery eyes. People who suffer from Asthma may experience wheezing and shortness of breath. Some people may experience mold allergy symptoms all year round while in some others symptoms would flare up only during certain seasons of the year depending on what triggers the allergy or the amount of allergens present in the environment. Mold allergy symptoms are significant when the weather is damp, and when indoor or outdoor spaces have high mold spore concentrations. People who are sensitive to mold can experience mold allergy symptoms both indoors and outdoors. For example in summer and fall several types of molds thrive on dead leaves and release spores into the air. On inhaling these spores, individuals who are sensitive to mold spores are likely to experience allergic reactions. Controlling mold allergy means controlling your exposure to mold. That isn’t always easy outdoors. But you can limit exposure inside your home by controlling mold growth, cleaning up existing mold growth, and to some extent preventing outdoor mold from infiltrating indoors. Mold Spores: what are mold spores? Several molds that grow both indoors and outdoors, produce spores. Mold spores have been likened to the seeds of a dandelion, but they are microscopic in size. Because of their size, mold spores cannot be seen with the human eye save with the aid of a microscope. Mold spores occur in various colors and shapes, such as round, spheroid, banana-shaped or tadpole-shaped. They can occur in enormous quantities depending on the type of mold producing them, and at all times of the year where the environmental conditions allow. Mold spores are well known for their ability to cause sensitization and allergic responses. 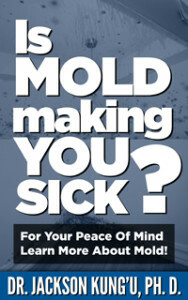 Exposure to airborne mold remains the biggest concern when looking at molds and their affects on human health. Mold spores and other fungal structures (e.g. hyphae) contain allergens. These allergens cause mold allergy to sensitive individuals and may also exacerbate asthma. Whether or not the spores are alive, the allergens in and on them may remain allergenic for years. There is no definite seasonal pattern to mold spores in indoor indoor environments. Growth of mold indoors is determined by the presence/absence of moisture. However outdoor molds are seasonal, first appearing in early spring and thriving throughout summer until fall. Outdoor spore concentration also influences indoor spore concentration as outdoor spores generally infiltrates indoors. Mold spores are much smaller than pollen grains and easily bypass the normal filtering function of the nose. Inhalation of mold spores into the lung is a common cause of asthma attacks in people who are allergic to molds. Mold spores come from soil and decaying vegetation, and are everywhere in nature. In houses with evaporative cooling and old carpets, mold can be a problem. Growth of mold in houses increases after a plumbing, roof leak or chronic condensation. Many types of molds are found in soil and house dust. Both finished and unfinished basements tend to be damp and hence prone to mold growth. Molds in basement are predominantly influenced by chronic moisture problems, such as window well leakage. Whether a basement is occupied or not, growth of molds in basement is a health hazard since the spores tend to move upwards to the living spaces. It has been established that basements could be the predominant sources for mold spores in both summer and winter. When people who are susceptible to mold inhale the airborne spores they react to the proteins in the wall of the spores. How do you know you have molds in basement? You know you have molds in basement when you smell the “musty” odor or see small black, bluish or white spots along the basement walls. The mold spots may be fuzzy or look raised. Mold growth will occur on any organic or porous materials including paint, cardboard, newspapers, wood, textiles, and carpet that are exposed to moisture. You may also find molds in basement growing on dirt or dust trapped on fiberglass insulation. Mold growth may also be visible on wooden studs and rafters. Elimination of moisture is the most effective method of mold growth control. To eliminate moisture problems in the basement may involve foundation damp-proofing, fixing grading problems, providing adequate on-lot drainage systems, and sealing areas of moisture ingress. Also remove excessive internal moisture sources in the basement (humidifiers, cooking) and ventilate other sources (clothes dryer, bathroom). If condensation in the summer is the problem, it’s recommended that you do not ventilate the basement directly with warm, humid air. Ventilation through an air conditioning system or with a desiccant-type heat exchanger is recommended. If you have molds in basement call 905-290-9101. We may be able to help you or direct you to people who could help you. Air quality testing should be conducted by a qualified professional. However, there are basic tests that a homeowner or a property manager can perform by themselves and save money. Air quality testing for mold does not require any special training. Mold & Bacteria Consulting Laboratories has been renting air quality testing equipment to homeowners, property managers or professionals who are just starting their businesses. To perform your own air quality testing for mold it’s important to plan ahead. For example you need to decide how many rooms you want to test as this will determine the number of air samples you will collect. ideally, one should test all the rooms but if the budget cannot allow you can test areas of concern. In addition to the samples you collect from indoors, an outdoor sample is also required. The outdoor air sample helps to determine which of the mold spores detected indoors had likely originated from outdoors. Interpreting air sample results can be difficult. However, after comparing indoor samples with outdoor sample, if the types of spores detected from the indoor sample are the same as those detected from outdoors and the indoor counts are significantly lower than those of the outdoors, then we can conclude that the tested areas had no mold problem at the time of testing. This conclusion is only valid if we cannot visually see mold growth and the building is not damp. It’s important to note that while the spore counts could be low, presence of certain types of molds could be an indication of major moisture damage and possibly hidden mold growth. As indicated previously you’ll require to rent an air sampling pump. You’ll also need to purchase air sampling cassettes. Mold & Bacteria Consulting Laboratories provides instructions on how to operate the pump. After sampling the samples are sent to the laboratory for identification and counting of spores. The results are reported as the number of spores per cubic meter of air. Click air sampling instructions to watch a video on how to perform air quality test for mold.